Worcestershire county travel guide. Places to see and things to do. The county of Worcestershire is nestled between the beautiful landscape of the Cotswolds and the stunning Malvern Hills. Filled with charming villages as well as the ancient cathedral city of Worcester the county offers much for visitors to enjoy. Hilltop iron age forts overlook the landscape which was the site of much bloodshed during the English Civil War, details of which can be found in a number of local museums. There are many historic buildings for the visitor to explore as well as the incredible cathedral in which King John was laid to rest. Set in the heart of England the links to the capital are excellent, with London being only two and a half hours away by road. The closest Airport is located in Birmingham which is only 30minutes away. Although an ancient city, Worcester has a very modern feel to it which is probably due in part to the fact that it is a university city and has a relatively young population. The stunning cathedral dominates the landscape from is riverside location and gives visitors to the city a glimpse of just how important this place once was in the history of the country. The city has strong links with the English Civil War and there is much to discover about this part of England’s bloody history in the Commandery which is located here. Located in the northern part of the county, less than twenty miles from the city of Birmingham, the town of Kidderminster gained fame for the quality of the carpets which were manufactured here, products which continue to be produced to the same incredible quality today. It is also the birthplace of the man behind the Penny Post, Sir Rowland Hill. Birthplace of Sir Edward Elgar, he used the landscape is the inspiration for some of his most famous musical works. Although mainly Victorian in style, the oldest parts of the town date back to 1085 when a group of Benedictine monks settled here and built a priory. The Priory Church is more than 900 years old and houses some incredible examples of medieval stained glass. The town is probably most well known for the spring water which is bottled here. The county contains some beautiful gardens and open parkland for visitors to enjoy. 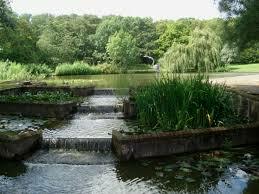 Spetchley in Worcestershire is home to the fabulous Spetchley Park Gardens. The gardens fill around 30 acres of the estate are complete with a traditional tea room serving cream teas. The surrounding parkland is home to a herd of deer, and estate venison is available to purchase. While the gardens may not be manicured to precision, they offer a number of different horticultural rooms to enjoy this wonderful working rural estate. The gardens are open Wednesday through Sunday from 11 am – 6 pm. Little Malvern Court is a 15th Century Prior’s Hall nestled within some of the most beautiful gardens in the county. Spread over 10 acres the gardens offer stunning views across the Severn Valley with the landscape of the garden changing in accordance with the seasons. Magnolias and traditional roses as well as a 250-year-old lime tree delight visitors to the gardens every year. The cedar trees found here were grown from seeds transported from the Holy Land by Charles Berrington. The gardens are open from mid-April – mid-July, on Wednesdays and Thursday afternoons between 2.15pm – 5.00pm. Located in Upper Arley close to the town of Bewdley, these gardens will transport the visitor back to a bygone age as they view the steam strains making their way through the Severn Valley as they enjoy the beautiful and relaxing gardens which surround them. The children will enjoy the fairy and dinosaur trails around the gardens, while the grownups will find a sense of peace in the stunning Italian gardens. The gardens are open from Wednesday – Sunday from 11.00am – 5.00pm. Containing the tomb of King John as well as that of Prince Arthur the cathedral has a unique, almost magical atmosphere. The ancient crypt and medieval cloisters are incredibly atmospheric. The cathedral is also home to an incredible archive of ancient manuscripts, the largest of its kind in the county which is stored in the cathedral library. The whole place is made magical by the colors reflected onto the ancient stone through the beautiful Victorian stained glass. The cathedral is free to enter and is open daily from 7.30am 0 6.00pm, See http://www.worcestercathedral.co.uk for further details. Located in Bewdley this is one attraction that the whole family will enjoy. This is an award-winning attraction which offers visitors the change to take a four-mile road safari in the family car, to get up close to the park’s animals. As well as the animals there are live shows, discovery trails, and a fun-filled theme park too. Rated as one of the best family days out in the country the park is open daily from 10.00am. Visit http://www.wmsp.co.uk for more information about ticket prices and events. Located in the city of Worcester the Tudor House Museum offers a unique glimpse of authentic Tudor life. The rooms inside the house are more than five hundred years old and have exhibits which you can interact with as well as just admire. The building has had a long and varied history, originally being a weaver’s workplace, then brewers and tavern. In more modern times it was an air raid warden’s office and a school clinic. The museum is free to enter and open Wednesdays and Saturdays between 10.00am – 4.00pm, visit http://www.tudorhouseworcester.org.uk for more information. Explore the county and see just how much it has to offer. Take a ride on a steam train through the Severn Valley between Kidderminster and Bridgnorth and take in the scenery as you travel across the Victoria Bridge as you cross the River Severn. This is the bridge featured in the movie classic ‘The 39 Steps’. Visit http://www.svr.co.uk for timetable details. Located just outside of Worcester, Top Barn Activity Centre offers a range of outdoor activities for families, where groups can learn a number of outdoor skills, or participate in a different land or water-based activities, either for fun or for certification. Visit www.topbarnactivity.co.uk for more information. Aztec Watersports are located in Lower Moor, Pershore and offer a range of water-based activities for the whole family. Activities are held on their tranquil spring fed lake and include kayaking, canoeing, and windsurfing. Visit www.aztecwatersports.com for more information about prices and how to book. Take time out to indulge in a traditional afternoon tea in some wonderful surroundings. Located in Malvern, afternoon tea at the abbey includes traditional finger sandwiches, cream cakes, and freshly baked scones as well as a delightfully indulgent chocolate fondue all for £25.00. A complimentary tour of the abbey is also included. Visit their website to learn more about times and special promotions. Located in Stone, near Kidderminster afternoon tea includes all of the usual treats from finger sandwiches to scones with clotted cream. Afternoon tea is served between 2.00pm – 6.00pm and costs around £12.00. Visit the Stone Manor Hotel website for more details. Worcestershire offers some beautiful locations in which to celebrate your big day. Located in Bromsgrove Grafton Manor dates from the 16th century and offers a stunning backdrop for your big day. Ceremonies can take place in the adjoining historic chapel and guests can enjoy the exclusive use of the house throughout your celebrations. Located in Birtsmorton this is an incredible moated manor house which dates from the 12th century. Ceremonies can take place in the parish church located within the grounds, or in the grounds and gardens themselves on the waterside terrace. Located in Evesham this stunning 19th-century country house has been lovingly converted into an exceptional country house hotel. A four-poster bridal suite, open log fires, and traditional warm wood paneling all add to the charm of this venue. There are around 90 different campsites in the county in which to pitch your tent, hook up your caravan or park your mobile home. • Bromyard Downs Caravan Club Site – Brockhampton, Bringsty, Worcester, Worcestershire. • Broadway Caravan Cub Site – Station Road, Broadway, Worcestershire. • Newland Meadow Malvern Certificated Site – Newland, Malvern, Worcestershire. • Dayhouse Farm Fishery Certificated Site – Old House Lane, Romsley, Halesowen, Worcestershire. • Yew Tree Farm Certificated Site – Pond Bank, Bewdley, Worcestershire. • Church Meadows Certificated Site – Dormston Lane, Dormston, Inkberrow, Worcestershire. 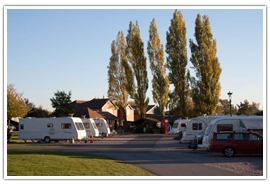 • Peachley Touring Caravan Park – Peachley Lane, Lower Broadheath, Worcester, Worcestershire. 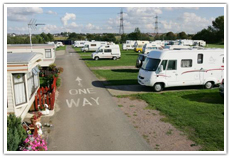 • The Ranch Caravan Park – Station Road, Honeybourne, Evesham, Worcestershire. • Riverside Caravan Park – Little Clevelode, Malvern, Worcestershire. • Kingsford Caravan Park – Sladd Lane, Wolverly, Kidderminster, Worcestershire.